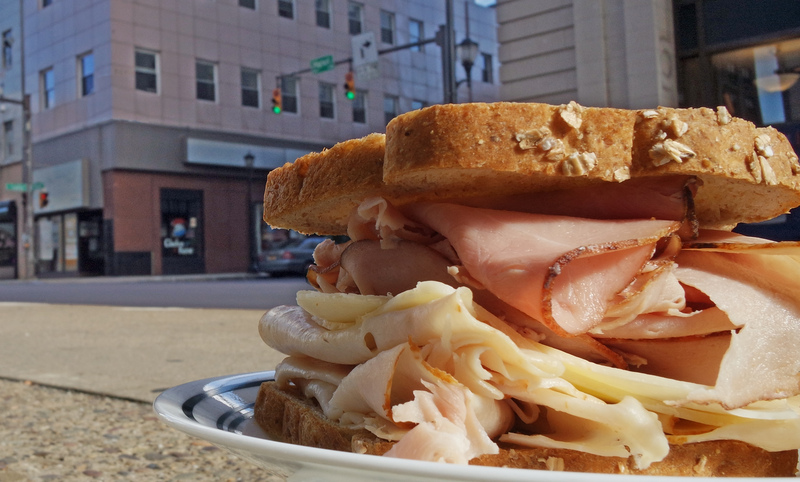 Outside local headquarters, we find a pile of ham, turkey, and cheddar on multi-grain bread. It’s pretty tasty, and maybe that’s because there’s something familiar to classic meats ham and turkey– processed, sure, but with a realistic flavor and texture. Whether you prefer talking turkey or hamming it up, you can’t miss the sharp cheddar in the center. All this between slices made of various grains, coming together to form a newly named type of bread: multi-grain. Again, it’s processed meat and more cheddar than you have, but maybe this sandwich speaks to you in ways that make you feel satisfied. Maybe this sandwich won’t wreak havoc on your insides.